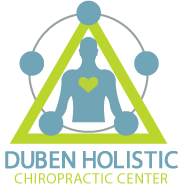 At Duben Holistic Chiropractic Center, we take great pride in providing the finest chiropractic care to each and every patient. We have included information below about the different chiropractic services offered in our Thousand Oaks chiropractic office, but please call us at 805-468-4437 if you have any questions! Neuro-Emotional Technique (NET) is the process of identifying emotional reactions that are effecting your health and releasing them through a gentle and effective process of hands on healing. After the correction, many patients report feeling that a “heavy weight has been lifted” from their shoulders. That’s because their nervous system has improved in its function helping people to remove these unwanted and unneeded reactions that have gotten stuck in the body. What does nutrition have to do with chiropractic care? The goal of chiropractic care is to help patients achieve total health and balance with their body, and as part of that goal we provide specific recommendations on nutritional supplements and healthy food choices. Nutritional counseling by our experienced chiropractic health professionals can assist a patient on their return to optimal health. Do you know which supplements and vitamins are good for you? Do you know how these supplements and vitamins interact with one another? At our Thousand Oaks chiropractic clinic, we can provide each patient with a structured nutritional program that is based on their individual needs.